Orthodontics is the branch of dentistry which specialises in the treatment of teeth and jaw alignment. The technical term for these problems is malocclusion (literally meaning “bad bite”). These alignment problems are treated with the use of corrective appliances, such as braces. With the primary aim being to bring the teeth and jaws into correct alignment. An orthodontist is a dentist who is a registered specialist in orthodontics. An orthodontist is the most qualified person to diagnose, prevent and treat any problems you might have with the alignment of your teeth and jaws. • Complete a Bachelor degree in Dentistry, which is a 5-year full-time University course. • Completed a further 3 years’ full time training on a specialist training programme that is recognised by the Dental Council. Think you or your child might need orthodontic treatment? 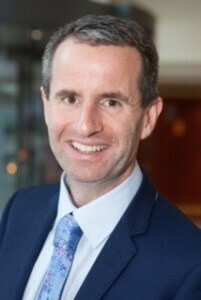 Dr Ronan Perry of Dental House is a specialist orthodontist. Book a €50 consultation with him today and talk about your options.